The European Commission has proposed a €200 billion plan to revive EU economies, however it is thought that Ireland is unlikely to get involved. 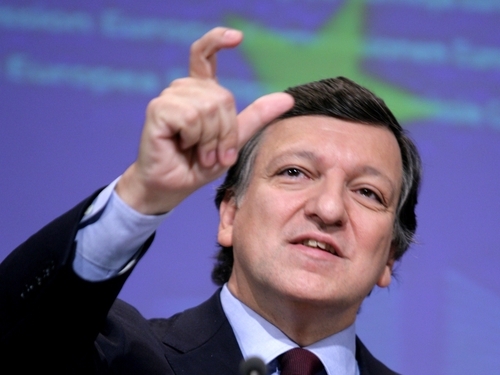 At a press conference in Brussels, Commission President Jose Manuel Barroso said the package would be worth 1.5% of GDP. The programme will be discussed at an EU summit on December 11-12. Mr Barroso said that business as usual is not an option. The plan aims to create employment and step up investment in infrastructure. €170 billion of the money would come from the member states and the balance from the EU budget and the European Investment Bank. The Government has welcomed the Brussels plan, but the Department of Finance has signalled that Ireland has no room for a further fiscal stimulus at this stage. The Department said the National Development Plan and relatively low tax rates are in line with the EU's package. It said the priority for countries like Ireland with relatively high deficits is to get the public finances back in order. It said those steps had been acknowledged by the European Commission's recovery plan. Mr Barroso described today's package as 'a toolbox' from which member states could choose measures that best suit their national situation. Mr Barroso said measures introduced by each country need not be identical, but should be co-ordinated. He said the plan was the best way to restore confidence and counter fears of a long and deep recession. As part of the €200 billion stimulus package, the European Commission today proposed an initiative of at least €5 billion to produce safer and greener cars, to be funded by the EU, industry and member states. 'Smart investments in tomorrow's skills and technologies will accelerate Europe's drive to become a dynamic low-carbon economy,' Barroso said. The European green cars initiative will include research on new technologies 'and smart energy infrastructures essential to achieve a breakthrough in the use of renewable and non-polluting energy sources, safety and traffic fluidity,' a commission document said. The EIB will provide most of the money through €4 billion in 'soft loans' to the industry to promote the safety and environmental performance of cars, including electric cars. Brussels also proposed reductions in car registration and road taxes for lower emission cars so as to boost consumer interest. Today's European fiscal stimulus is likely to boost budget deficits in several EU countries well beyond the EU ceiling of 3% of GDP. Britain on Monday announced a 2.5% point cut in its VAT rate to 15% in a £12.5 billion sterling move aimed at kickstarting the economy. But both Germany and France ruled out copying the British plan.